Note: we are no longer taking applications for this role. Are you our new Business Development Manager in Singapore? BlueChilli is ready to launch a first-of-its-kind Accelerator, backed by corporate partners and sponsors. The Business Development Manager will be the catalyst for corporate partnerships and the development of healthy sponsor relationships in the region. Singapore is the next launchpad for BlueChilli to be established as a global innovation powerhouse. Our Business Development Manager in Singapore is the lynchpin of all the activities required for a successful and impactful launch. This role is not only integral to our growth as a company, but it’s a very interesting platform for a strong sales operator to make their mark. Our Business Development Manager will be tasked with sourcing and building a robust pipeline of corporate partners for our innovation program, leveraging our existing program setup in Australia and turning that into success in Singapore and the wider Asia-Pacific region. 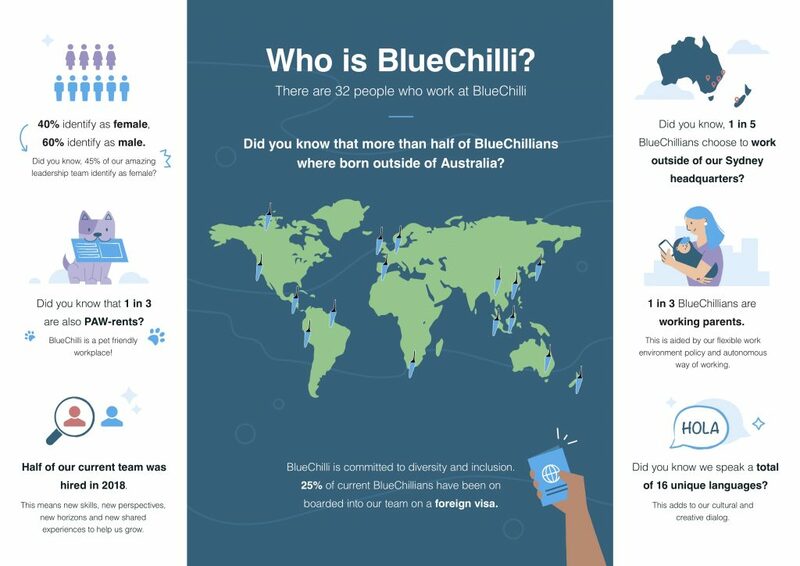 As one of the first hires in the region, BlueChilli counts on the Business Development Manager to be a brand ambassador and conduit between markets. Supported by HQ in Australia and the local Program Director, you’ll thrive as a remote operator for a while, but are likely to help us build a team of champions around you to help amplify our mission. Working closely with our Chief Innovation Officer, Head of Partnerships and Program Directors to compile a list of potential targets and working through research, scenario setting and network introductions to narrow it down into an effective and workable pipeline for our corporate programs. Using your deep knowledge of the Singaporean corporate market to adapt our existing sales and marketing collateral – or even creating it from scratch – to turn them into reliable conversion tools. Diving deep into your existing local network to identify potential corporate clients for BlueChilli and the corporate programs. This will likely include some cold calling and strategic networking in the local ecosystem. Organising and attending sales meetings – in person, calls, video-conferencing and any other means necessary – to further the BlueChilli sales strategy. Using your highly-tuned emotional intelligence to empathise with our clients’ program requirements,, metabolising them into our reporting system and passing on the knowledge to the Program Director in Singapore, our Growth team and Chief Innovation Officer. Spearheading all corporate program negotiations in Singapore and Asia – supported by our CEO, CIO and Program Directors – and using the top of your intelligence to make sure that BlueChilli’s interests are represented, promoted and achieved in those meetings. A strong, reliable corporate network to call upon in the region. The ability to start working on a big project with limited information. Ease and efficacy in communication, evidenced by the ability to turn corporate programs into a compelling – if not urgent – need for our corporate clients. A deep passion for purpose-driven startups and businesses. The power to write captivating content for our pitches, collateral and community outreach. Resilient – partnerships is a very personal business. The ability to get off the mat and go at it again the next day is crucial to the job. Disciplined – this role is a catalyst to our growth in a new market, so we will rely on you to keep good records and keep the team informed of any developments in a timely manner. A closer – you are able to see the sales pipeline to the very end, bringing back wins to the team! Adaptable – things move fast at BlueChilli, so it’s important that we work with resolve but knowing that things could change within a few days. Maybe this role is not for you if…. You’re not currently based or able to work in Singapore. Is this you? Awesome! Apply here.